Every year, since 1999, the Port of Los Angeles in San Pedro holds a Lobster Festival where families can enjoy mouth watering, freshly cooked Lobster, in a carnival like setting, overlooking the Pacific Ocean. I’ve been before, but when I did, I went for the food, and not the entertainment. Not this year. 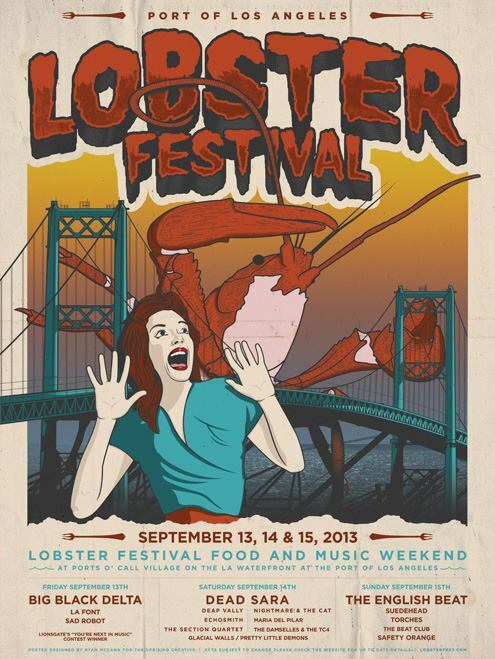 When I saw that Dead Sara was slated to headline the Saturday evening entertainment, I decided that I would head out to San Pedro, eat some lobster, check out some new music, and watch one of the hardest rocking, female fronted bands in music today crush it. Thank you for posting news on Dead Sara and Nightmare and the Cat. I saw both bands this year (the former opening for Muse in Vegas and the latter opening for Bastille in L.A.) and thought they were incredible live. In the past, most opening acts, for me have just been a passing thing…calmy watching them while waiting in nervous anticipation for the main acts. I have to admit, watching both these bands, I felt they could stand alone, they were that good…loud, gritty, bluesy…they reminded me of how good, live rock bands can be.